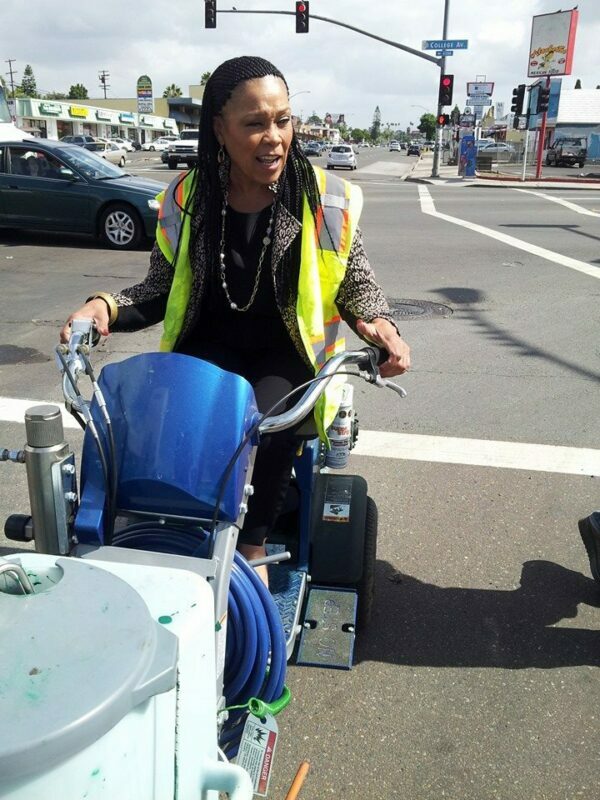 Freshman Councilmember Myrtle Cole rolled up her sleeves to bring the first green bike lanes to her district, District 4. The area she represents can be seen in the map below. The city finally began studying the University Avenue corridor (from 54th to 68th Street) in 2010. Earlier this month Councilmember Cole got to work. Today University Avenue finally has a bike lane and it’s a vast improvement over what used to (not) be there. Thank you Councilmember Cole! 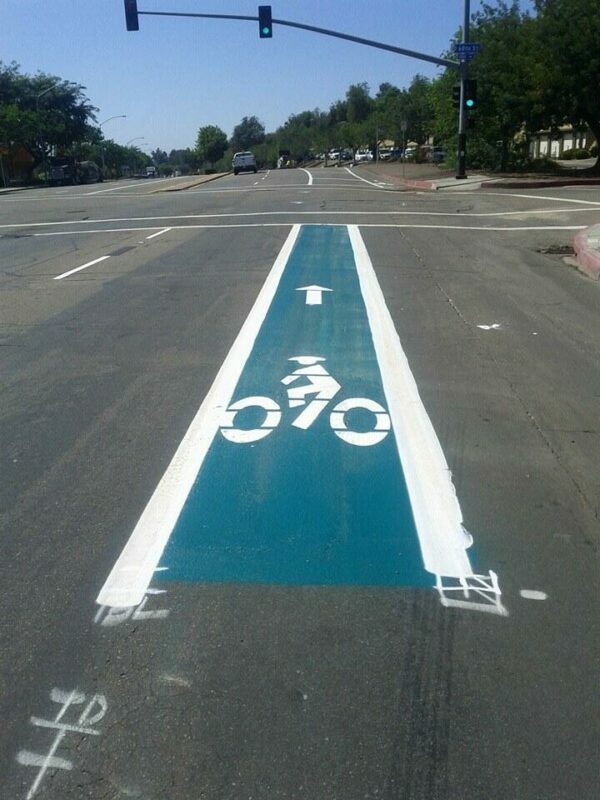 Have you ridden on this section of University Avenue? 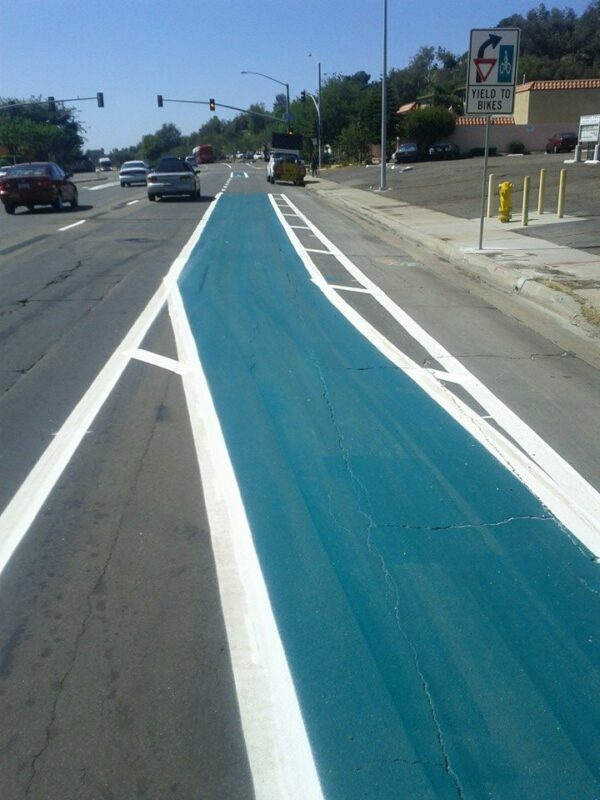 What do you think of the new buffered green bike lanes? 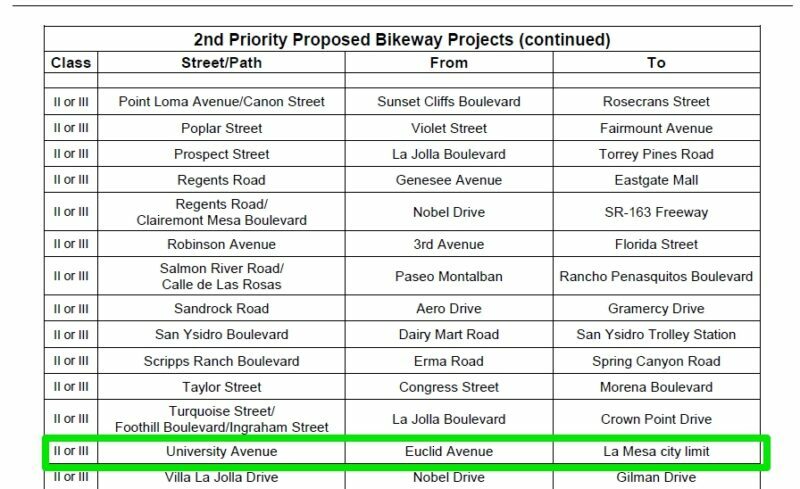 A great start to making University the key East-West bicycle route through urban SD. I’ve ridden this bit a few times, mostly I remember when you get out this close to La Mesa traffic really starts going faster and the road is much wider than in City Heights. A friend from La Mesa (without my input) recently brought up how he wished there was a good, safe route to get from his house to South Park and specifically called out University Avenue as the most direct and best choice. 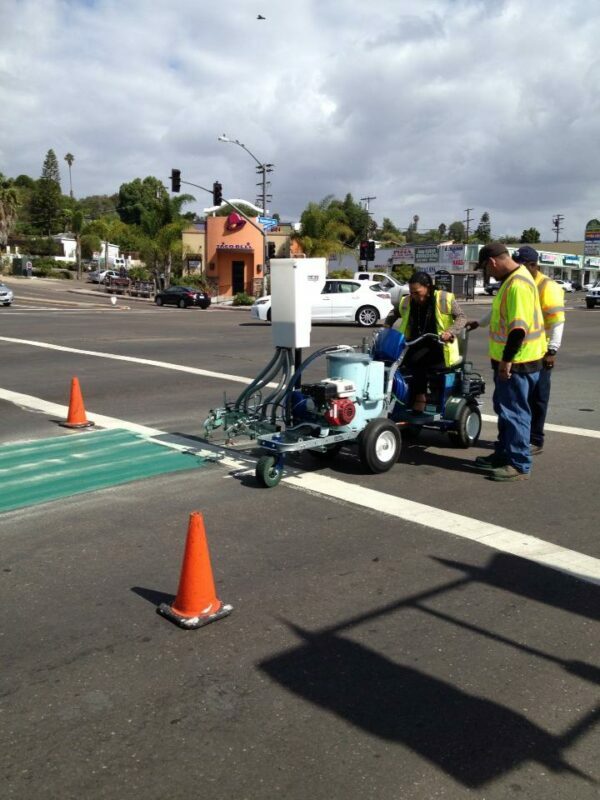 I concur and hope this is just the first step in a separated bicycle lane from the Bay to La Mesa and beyond. I regularly ride the stretch of University from 54th to La Mesa Blvd. and the new green lanes are fabulous, if brief. However, no parking/bike lanes have been installed further east so it appears more bike lane is coming. University in that area is indeed ideal for bike lanes because of its extra width. Thank you, Myrtle Cole!! It’s starting to get a bit crazy in the States with trying to incorporate a helmet into a simplified symbol. Why not just have a circle to represent the head like everywhere else in the world? This is so wide that it looks like one of those old style hats they used to wear in China a century ago.